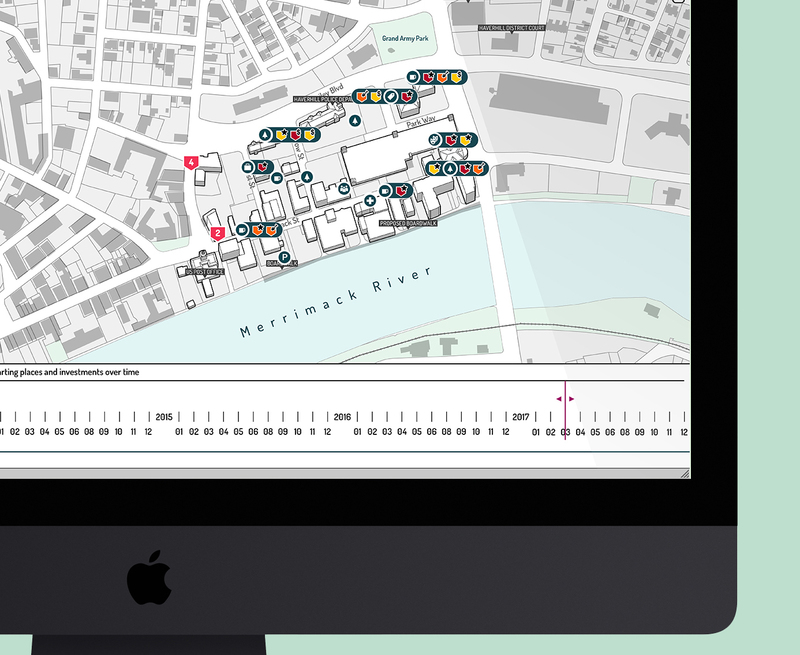 A map interface for the financial agency's stakeholders. 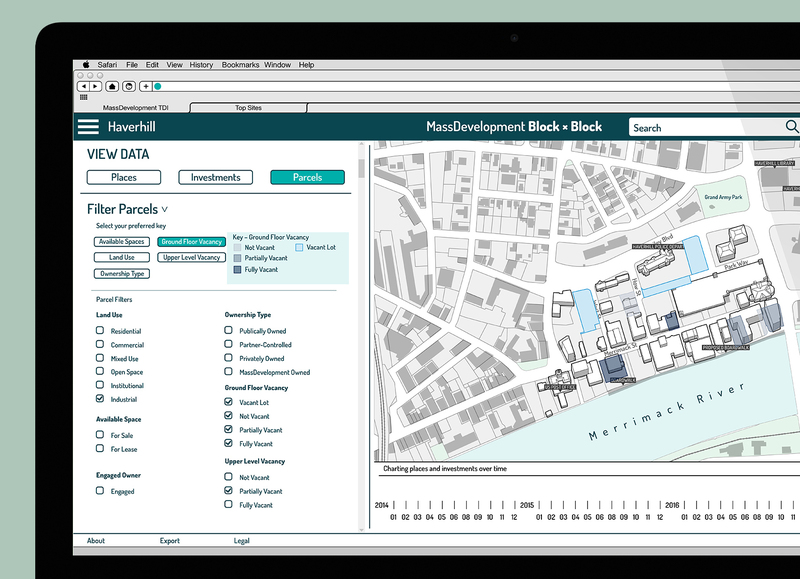 My task was to build the user experience and symbology of the MassDevelopment TDI interactive map site. 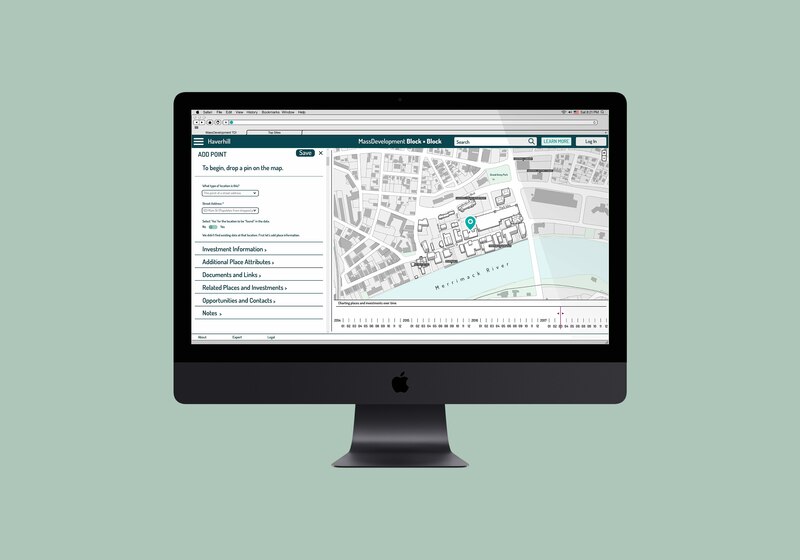 I was brought on in the later stages of the project to work with urban planners to develop the user experience of the platform and polish the design assets. Our team was using the Beta version of Adobe XD when it was first released, which brought both excitement and a learning opportunity. I learned how to remain consistent within an already established design system and developed an awareness of when to step up to communicate my design opinion.